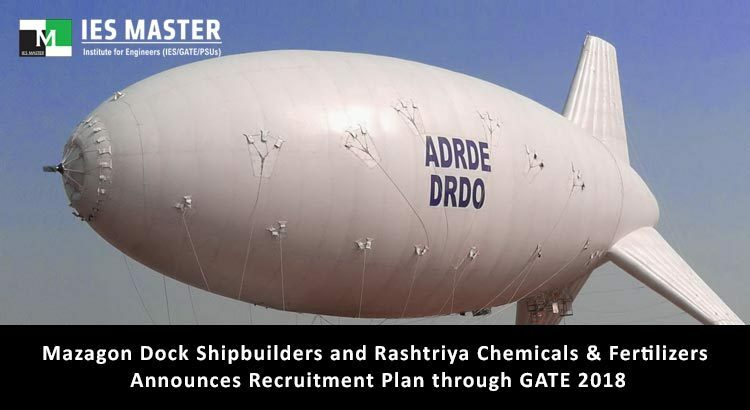 Two more PSUs – Mazagon Dock Shipbuilders Limited and Rashtriya Chemicals and Fertilizers Limited (RCF) – have announced their recruitment plan for Graduate Engineers from Mechanical and Electrical streams through GATE 2018. Candidates interested in Mazagon Dock Shipbuilders PSU can submit their applications online from 8 January, 2018 to 7 February, 2018. 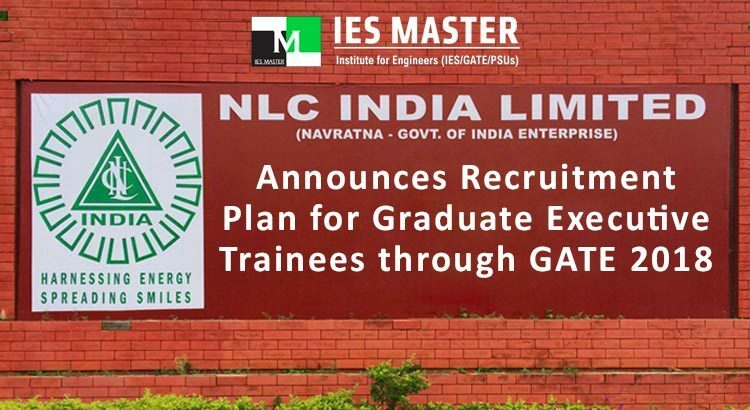 NLC India Limited, which was formerly known as Neyveli Lignite Corporation, has announced its hiring plan for Graduate Executive Trainee on the basis of GATE 2018 scores. The Navratna company would be hiring graduate executive trainees from Mechanical, Electrical, Civil, Instrumentation, Computer Science & Engineer, and Mining engineering disciplines. 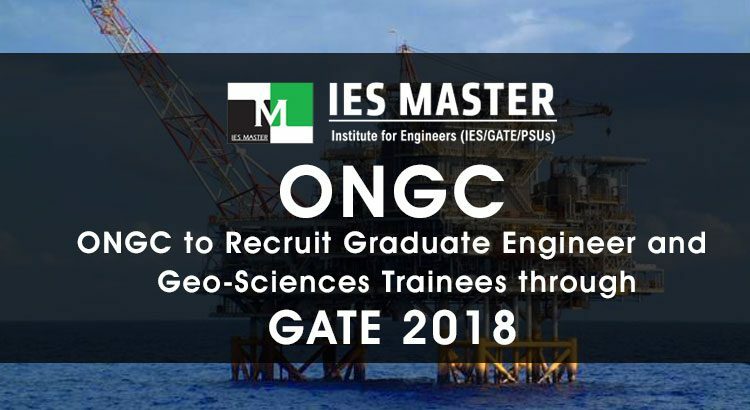 Oil and Natural Gas Corporation Limited (ONGC) has announced its recruitment plan for Graduate Trainees in Engineer and Geo-Sciences posts on the basis of GATE 2018 scores. ONGC, which is India’s most prominent Maharatna PSU company is going to recruit young engineering graduates from Civil, Electrical, Mechanical, Petroleum, Electronics & Communication, Instrumentation, Chemical, and Computer Science streams for filling these vacant positions that come under the category of Class-1 executives (E-1 level). 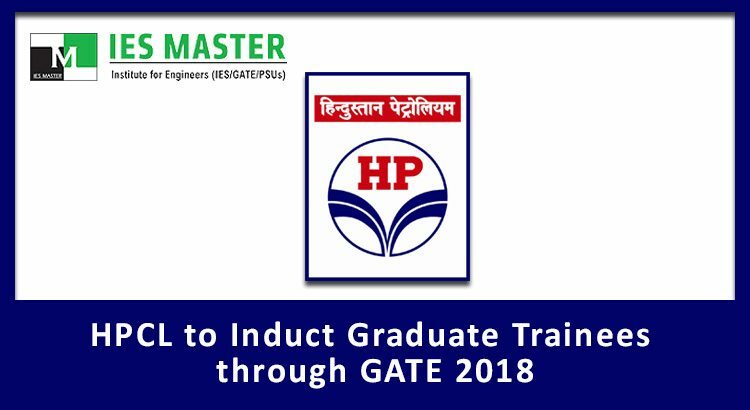 Hindustan Petroleum Corporation Ltd. (HPCL) is going to hire Graduate Trainees on the basis of GATE 2018 scores. The Graduate Trainees would be engineering students from Mechanical, Civil, Chemical, Electronics & Telecommunication, Instrumentation, Electrical Engineering discipline who would be qualifying GATE 2018 exam that is going to be conducted in the month of February 2018 on 03, 04 and 10, 11 dates. When the results of the most coveted ESE 2017 exam were announced by UPSC in the evening of 11th September, 2017, Namit Jain who topped the exam (AIR-1, CE) was taking a walk on the terrace of his home in Shivpuri near Gwalior. On getting a message regarding the announcement of ESE results by UPSC on his mobile phone from one of his friends, he rushed downstairs, checked the result on his laptop, and stammered, “Mom… I have secured first rank in ESE 2017”. 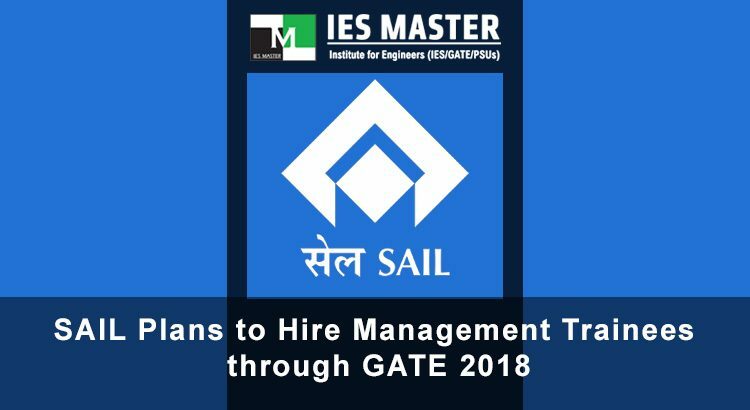 Steel Authority of India Limited (SAIL) is going to invite applications for the post of Management Trainees on the basis of GATE 2018 scores. The Maharatna company is going to hire engineering graduates from Mechanical (ME), Metallurgical (MT), Electrical (EE), Instrumentation (IN), Mining (MN), Chemical (CH), and Mining (MN) disciplines for this post. 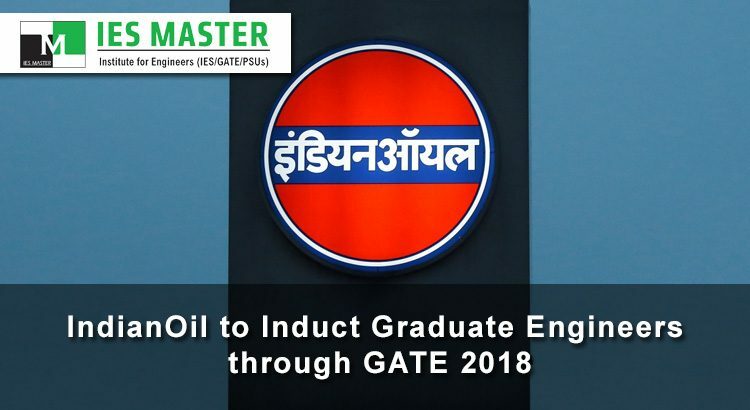 Indian Oil Corporation Limited (IOCL), which is India’s leading oil and gas supplying company, is going to hire Graduate Engineers through GATE 2018. The young graduate engineering executive trainees will be hired from Civil (CE), Electrical (EE), Mechanical (ME), Chemical (CH), Electronics & Communication (EC), Computer Science (CS), Metallurgy (MT), and Instrumentation (IN) disciplines. 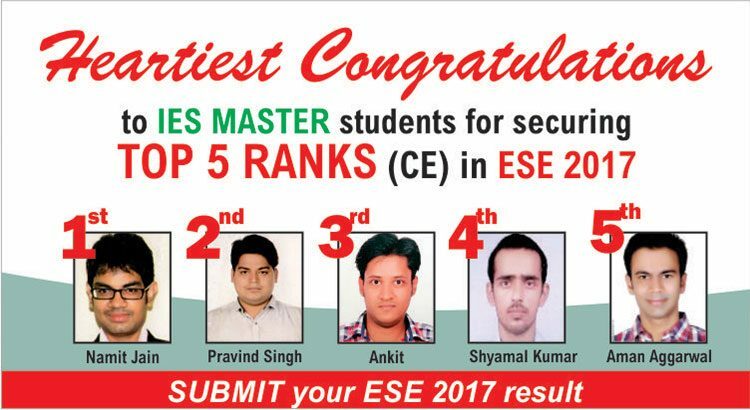 Heartiest congratulations to IES Master Students on their outstanding performance in ESE 2017. 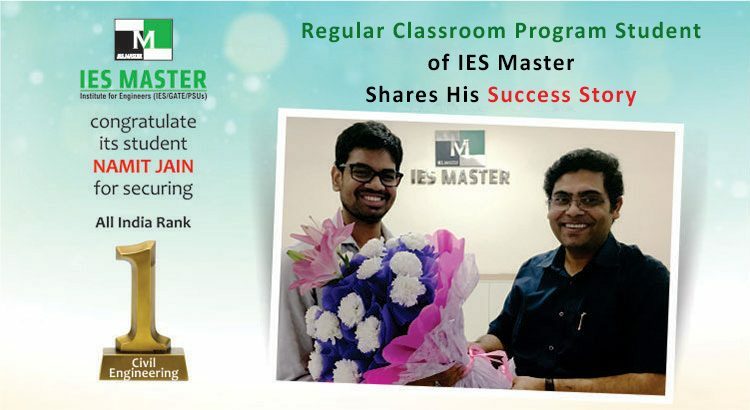 Going by the number of selections in ESE 2017, the concept behind meticulously designed Classroom Program of IES Master has been a huge hit. 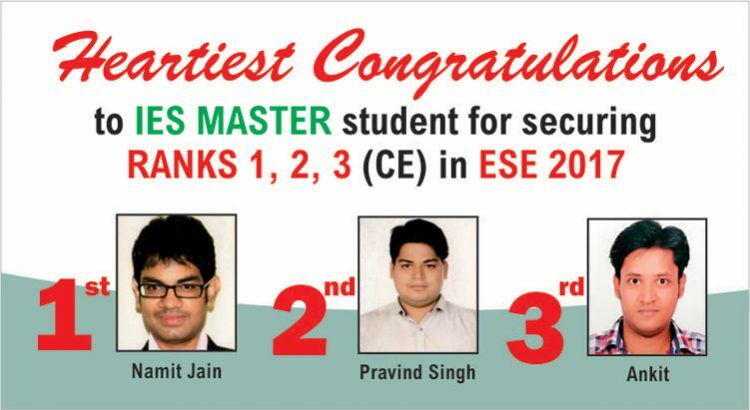 This proves why IES Master is the number one choice of ESE aspiring engineering graduates from all streams. 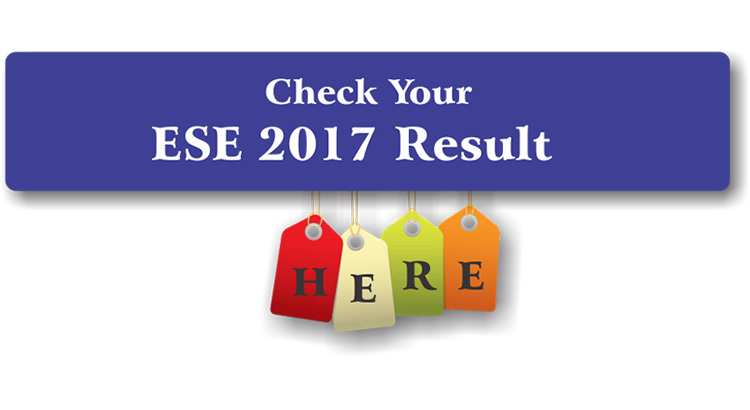 ESE Result 2017 – The result of ESE 2017 conducted by UPSC (Union Public Service Commission) on 14 May 2017 has declared on 11 September, 2017. Students can check their result by downloading the PDF file attached below or from the official website of UPSC. UPSC Engineering Service Examination 2017 results are released in two stages. In first stage, UPSC published the ESE 2017 (Mains) written examination result. Students who cleared the ESE 2017 (Mains) written examination appeared in the Personality Test or Interview that were held in between 31 July, 2017 and 01 September, 2017.